Winners Chapel general overseer (GO), went for treatment abroad. Winners Chapel's GO, resorted to getting treatment for an ailment abroad. husband your money to heal you in the name of Jesus." 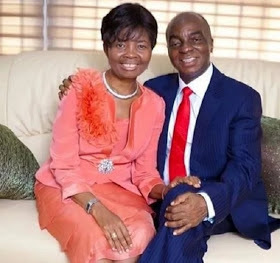 0 Response to "Bishop Oyedepo's Wife Slammed For Going Abroad For Medical Treatment"